Do Metal Roofs Make Your Home Cold in the Boston Winter’s? When many people think of metal roofing, they picture a sheet of metal similar to what is used on an inexpensive shed or shack, with very little protection from the elements. However, that couldn’t be further from the truth. In fact, metal roofs are durable and provide superior insulation and protection from the elements compared to traditional asphalt shingle roofs. What makes metal roofs so superior? How can a material with such high thermal conductivity provide good insulative properties? What do contractors install to make it all work together? First, it’s important to understand the components used along with metal roofing. Unlike you may have pictured, a Boston residential metal roof is much more than a sheet of metal bolted to the top of your home. Instead, a metal roof is comprised of multiple layers which work together to provide insulative benefits to your home. Of course, the top, visible layer of any residential metal roof is made out of metal. 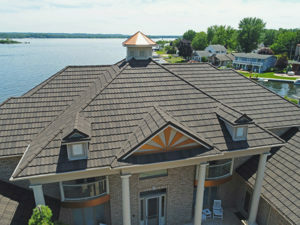 A variety of different metal roofing solutions exist, including metal shingles made to resemble asphalt shingles or cedar shakes, standing ridge roofing, corrugated metal roofs, and metal tiles, none provides any additional winter heat retention benefits above the others. Beneath the actual metal portion of a metal roof lies the underlayment, which goes between the metal and the decking. A few types of underlayment make up the majority of underlayment options in use today, and each has benefits that may be preferable based on where you’re installing your roof. Non-perforated, asphalt-impregnated felt underlayment is the most commonly-used underlayment material in the metal roofing industry. There are several types of felt underlayment, which contractors and homeowners alike choose based on how flat they lie beneath the metal roofing. Either one or two layers of felt underlayment are used, depending on preference. Felt underlayment provides very little in the way of air and moisture resistance and doesn’t perform well under high moisture and snow loads since it adheres to both the decking and the roofing. It is more suitable for warm, dry climates. However, felt underlayment can help with protection against ice dams in cold climates, particularly near the eaves of your home. Synthetic sheet underlayment is also fairly common in the U.S. Typically made of polyethylene, polypropylene or polyolefin, this synthetic plastic underlayment usually provides a water vapor barrier between the metal and the decking. It does not adhere to either the roof or the decking below and provides a better heat barrier. However, synthetic sheet underlayment does not provide an air barrier, although it is less expensive than a membrane barrier. Self-adhering membrane underlayment adheres fully to the roof deck. The most expensive of the three major types of underlayment, self-adhering membrane underlayment provides a vapor barrier. In addition, this type of underlayment provides an air barrier, since the underlayment adheres to the decking as well as to the adjacent sheets. Due to the air barrier, membrane underlayment can provide good protection against heat and cold. Beneath the underlayment is the roof decking. In newer homes, roof decking is comprised of plywood, while older homes may still use wood sheathing. Contractors installing metal roofs must take care not to align roof, underlayment, and decking seams in the same location. Together, all three layers provide a barrier against the elements. Some roofing companies choose to add an additional layer of sheet styrofoam on top of a roof’s existing decking, then lay new decking on top. Essentially, the additional layers form a sort of styrofoam sandwich between two layers of plywood decking. This step can provide additional cushion between the outdoor air and your attic. Depending on whether your home has a finished attic space or a vacant, unfinished attic, insulation types vary widely. If your attic is finished, insulation is usually in sheet form and pressed against the decking itself. Conversely, unfinished attics leave most of the unfinished space as dead air space, providing an extra air barrier for any thermal energy, as well as a layer of blown insulation near the attic floor. Now that you know all the layers of your Massachusetts roof that stand between you and the elements, one question remains – isn’t a metal roof still more susceptible to temperature than other types of roof? Theoretically, the thought makes sense. After all, metal is an excellent thermal conductor. If a material is a good thermal conductor, that means it quickly releases heat energy to maintain the same temperature as the area surrounding it. Many homeowners fear that all the heat they use to heat their homes in the winter will simply transfer right through a metal roof and into the chilly air outside. Though we now know that metal isn’t the only barrier between your warm home and the cold, even with all the other layers, isn’t metal still less energy efficient? As it turns out, the answer is no. In a 2007 study by the Oak Ridge National Laboratory, sponsored by the U.S. Department of Energy, researchers tested the January evening surface temperature of metal roofs compared to asphalt shingle roofs. Though you’d expect a significant difference, the actual measured temperatures were within plus or minus five degrees of each other over a three-night period. It appeared that the metal roofs weren’t releasing a significant amount of heat into the atmosphere from the home, nor were they significantly colder to the touch, risking transfer of cold air into the home. Then, researchers tested the temperatures of the sheathing directly below the roof, as well as the temperature of the air space in the attic below. While the areas were as much as fifteen degrees cooler than the outside temperature over a three-night period below the asphalt roofs, the air space below the metal roof remained at least 20 degrees warmer than the air space below the asphalt roofs. 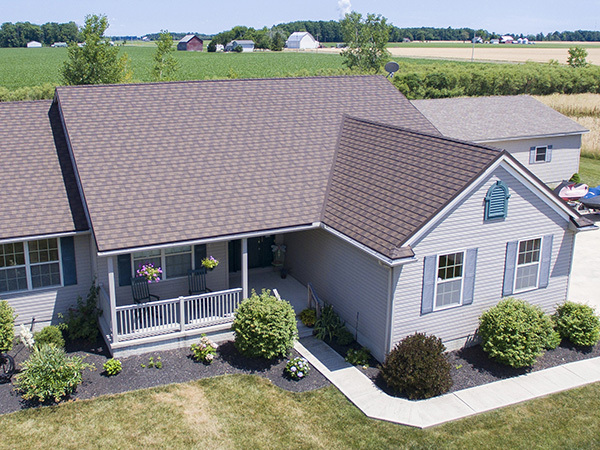 Researchers determined that it was the asphalt shingles that lost the most heat in the evening, despite absorbing more heat during the day – in fact, shingled roofs lost twice as much heat. In the end, not only will metal roofing not lose as much heat as you’d think, it loses significantly less heat compared to traditional roofs, and can save you as much as 20% on your energy bill.